Since the Republicans’ tax reform leaves the top income bracket where Obama left it, Democrats will be forced to look elsewhere for a way to paint this as a tax cut primarily for the rich. Given the fact that two-thirds of the $1.5 trillion cut over the next ten years comes from reducing the corporate tax to 20%, that’s likely where they’ll focus. The progressives’ narrative is that we have to choose whether or not to distribute the benefits of a tax cut on workers or the owners of the workers’ firms. Dynamic general equilibrium models show this inherent class conflict doesn’t quite exist, because the incidence of corporate taxes reduce wages. Cutting these taxes then structures the economy to afford higher wages. 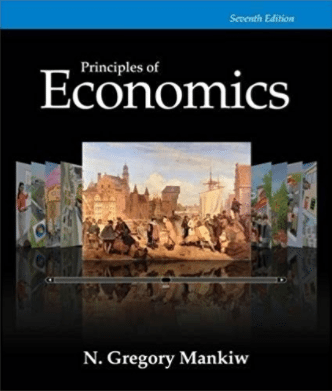 It’s, of course, difficult for most people, including the refined readership of the Oregon Catalyst, to follow DGE models; so I alert your eyes to a very simple but persuasive static model from Harvard’s Greg Mankiw, author of the best selling economics textbook. Mankiw elegantly shows for every $1 this tax on capital is reduced, the economy will adjust to a $1.50 increase in wages. This is not merely some partisan talking point. It’s mainstream economics taught at your nearest university. Indeed celebrity progressive economists like Brad DeLong and Larry Summers, who have published in the field of tax policy, have confirmed this phenomenon in their own research. The trade-off is not between capital and labor. Our corporate tax policy is a trade-off between the public and private sectors.